HCAHPS is the barometer for understanding a patient’s hospital experience. But can you predict the outcome of your patient satisfaction surveys by reading online reviews from past and present patients? 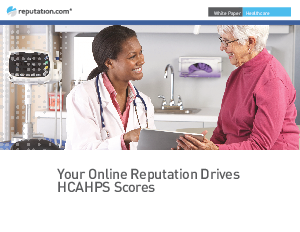 And more importantly, does improving your hospital’s online reputation improve HCAHPS scores? Yes positive online sentiment predicts an increase in HCAHPS scores — by as much as 17 percent, year-over-year.